You can use captcha, this would help prevent robots from filling up the form. It uses distorted images that only humans can read. 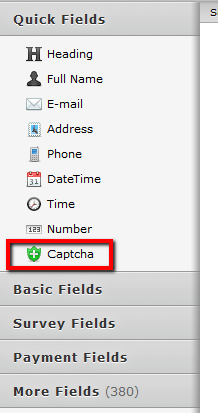 Captcha is located under quick fields. Thanks @oldin. As you indicated using CAPTHA fields will eliminate robots to fill in the form. If you have any other question or issue, please do let us know.